Showing recent results 601 - 615 of 675 products found. 40-749-751 - Pickering Interfaces Ltd. The 40-749 is a quad 4 to 1 RF MUX available in 50 Ohm or 75 Ohm versions occupying a single PXI slot. The module is available with SMB or SMA connectors for 50 Ohm versions or, 1.0/2.3 or Mini SMB connectors for 75 Ohm versions. Applications for the 40-749 include routing high frequency signals to and from oscilloscopes, analyzers, signal generators and synthesizers, telecoms tributary switching, video/audio switching and switching high frequency logic signals. 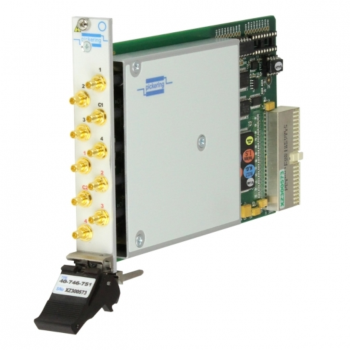 40-745-751 - Pickering Interfaces Ltd.
40-740, 40-745 and 40-746 RF Multiplexers are a range of Bi-Directional Multiplexers with bandwidth up to 2000MHz. They are arranged as Single 8 to 1, Dual 4 to 1 or Single 4 to 1 configurations, all with excellent Insertion Loss, VSWR and Isolation, in 50 Ohm or 75 Ohm versions with a wide choice of connectors. 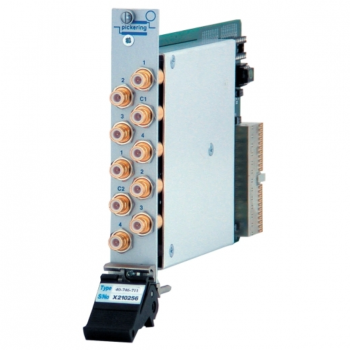 Applications include routing high frequency signals to and from oscilloscopes, analyzers, signal generators and synthesizers, telecoms tributary switching (from 2MBit/s to 155MBit/S),video/audio switching and switching high frequency logic signals. 40-748-511 - Pickering Interfaces Ltd. The 40-748 is a dual 8 to 1 RF MUX available in 50 Ohm or 75 Ohm versions occupying a single PXI slot. The module is available with SMB or SMA connectors for 50 Ohm versions or, 1.0/2.3 or Mini SMB connectors for 75 Ohm versions. 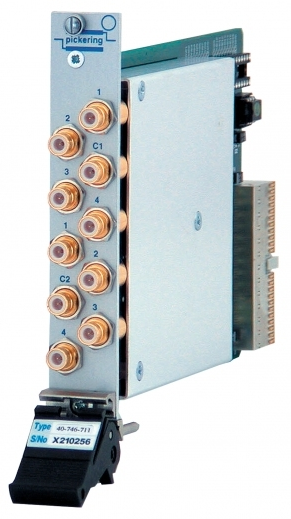 Applications for the 40-748 include routing high frequency signals to and from oscilloscopes, analyzers, signal generators and synthesizers, telecoms tributary switching, video/audio switching and switching high frequency logic signals. 40-749-521 - Pickering Interfaces Ltd.
40-748-751 - Pickering Interfaces Ltd.
40-745-511 - Pickering Interfaces Ltd.
40-740-521 - Pickering Interfaces Ltd.
40-740-511 - Pickering Interfaces Ltd.
40-740-751 - Pickering Interfaces Ltd.
40-746-731 - Pickering Interfaces Ltd.
NRRL-C transformer unloaded &loaded characteristic tester is dedicated to the transformer unload loss,short-circuit loss , zero sequence impedance,short-circuit impedance of the instrument,unload loss and short-circuit losses are generators,motors,transformers trials important items;according to GB1094.5-85 and IEC14/268CD regulations,changes in the amount of short-circuit impedance transformer winding is to determine whether the deformation of the sole criterion.The instrument circuit design is exquisite,unique ideas,making its performance is superior,powerful,small size,light weight,extremely easy to use site. The new generation portable ZGF DC Hipot test sets also named DC high voltage generator, it is based on the latest national electric standard DL/T848.1-2004 "The technical specification of DC hipot tester". 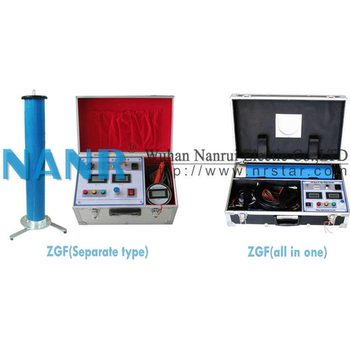 ZGF DC hipot test sets are mainly used in the electric power sector, mining, metallurgy, steel and other power companies for DC hipot testing on MOA, power cables, transformers, generators and other electrical equipment. 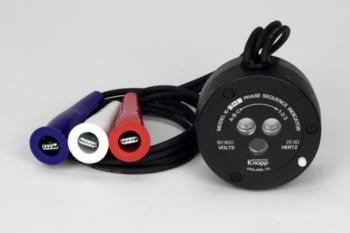 The K-7-1 Phase Sequence Indicator indicates the order of succession in time of the different voltage peaks of a multi-phase supply. The K-7-1 is used in connection with the making of three-phase circuit installations or alterations, and replacement installations of motors and generators. It can be used for making continuity tests of circuits of poly-phase systems. It's also valuable in making connections of power-factor meters, voltampere meters, watt and watthour meters and relays. Precision measuring bridge is designed for determining the capacitance and dielectric dissipation factor of liquid and solid insulants, cables, capacitors, line transformers, generators, motors, bushings etc. 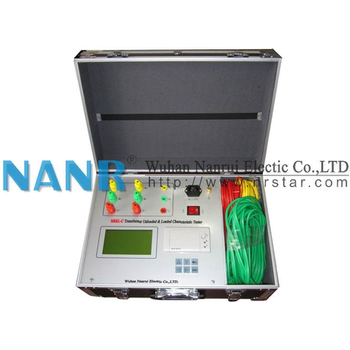 Furthermore it can also be used for power loss measurement on shunt reactors or similar apparatus. This system is suitable for both low and high voltage measurement at line frequency. Measurement reports can be printed. This measuring equipment has been specially developed to maximise efficiency in production and quality control environments. Its outstanding accuracy also makes it suitable for laboratory and research applications. The Fluke 1550C insulation resistance tester offers digital insulation testing up to 5 kV, the 1555 up to 10 kV, making them ideal for testing a wide range of high voltage equipment including switchgear, motors, generators and cables. With measurement storage and PC interface, they are the perfect tool for preventative or predictive maintenance programs designed to identify potential equipment failures before they occur.